Meet JJ Brenner. He’s currently a Lead Instructor for the UA Boot Camps and helps develop the curriculum as well. JJ has also designed a curriculum for a past employer to help teach “non-coders” how to build web applications. 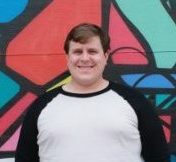 Being an entirely self-taught software engineer, who has also worked in sales and sales engineering, he brings a well-rounded perspective to programming and teaching. He believes that anyone can learn to code if they put their mind to it. He loves to share his experiences, knowledge, and passion for programming with his students. He is a die hard Green Bay Packers fan. He is married with with two kids, two cats, a dog, and 3 Xboxes. He can play 4 musical instruments.